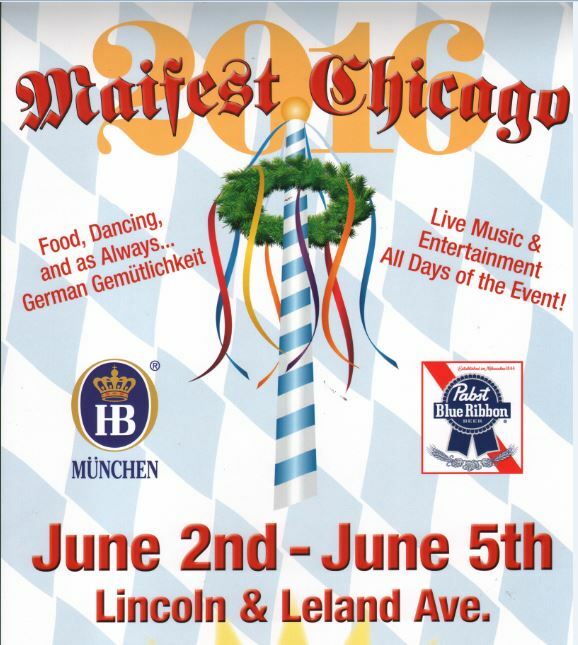 Get your German on for Maifest Chicago 2016 June 2nd thru June 5th at Lincoln & Leland Avenue. Authentic German Food, Dancing and, as always…. German Gemutlichkeit. Serving up Hofbräu München and Pabst Blue Ribbon.